Papua New Guinea’s communications minister, Sam Basil, says he plans to grow radio services in PNG. He marked this week’s World Radio Day by saying radio is a medium that reaches the widest audience, including vulnerable communities in remote parts of the country. Mr Basil has announced the medium and shortwave services of the state broadcaster, NBC, will be restored, and that the corporation will migrate from analog to digital technology. He said new stations will be opened in Jiwaka and Hela and that a new NBC headquarters will be built. Click here to read this article at Radio New Zealand. This entry was posted in Broadcasters, News, Shortwave Radio and tagged Papua New Guinea, PNG, Radio New Zealand, RNZ on February 15, 2018 by Thomas. Live three-hour recording of the 2015 Pacific Games coverage of the National Broadcasting Corporation, the Voice of Papua New Guinea (PNG), via a transmitter in Australia on 10 July 2015 beginning at 07:01:21 UTC on a frequency of 12025 kHz. At the time of the uploading of this sound file, it is not clear if the signal originated from the former Australian Broadcasting Corporation’s lower-power facility at Brandon (as registered with the High Frequency Co-ordination Conference (HFCC) organization; 25 kW beamed 80°) or their higher-power Shepparton site with 100 kW transmitters. 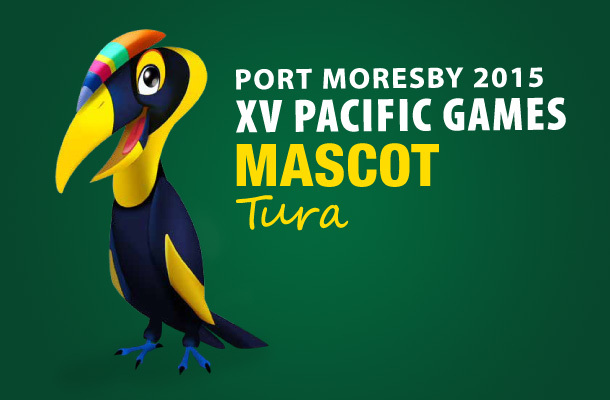 The recording, mostly in English with some Tok Pisin, includes commentary on the games being held in Port Moresby, music, news bulletins, public service announcements, and the NBC’s drum, flute and bird call interval signal near the top of some of the hours. Note that PNG time is 10 hours ahead of UTC. Please subscribe to the SRAA podcast to receive future shortwave recordings automatically. This entry was posted in News, Recordings, Shortwave Radio, Specials, Sports, What's On Shortwave and tagged Pacific Games, Papua New Guinea, PNG, Richard Langley, Shortwave Radio Audio Archive, SRAA on July 13, 2015 by Thomas.